The Nakajima Ha-109 was also known as the Army Type 2 radial or by the standardized designation, Nakajima [Ha-34] 11. It was a further development of the Ha-41. It was an air-cooled 14-cylinder double-row radial engine with a 140mm bore and 130mm stroke and a nominal power rating of 1450 horsepower (1081kW), making it one of the most powerful Japanese piston engines. 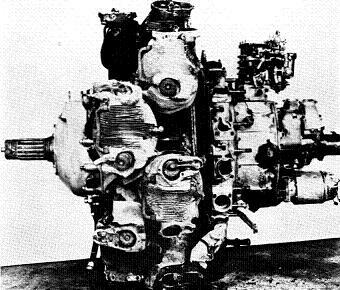 Variants of this engine were used on the Ki-44 "Tojo" and the Ki-49 "Helen". The Navy designated it the NK5A but it saw no operational use on Navy aircraft.